Busbar Trunking or Busbar Lighting is a system which involves the use of copper or aluminum bars, rather than traditional cabling systems, to distribute electrical power. 1. Time – As they do not require hard-wiring, Busbar Trunking systems reduce installation and maintenance times. In addition, they have a fast joining feature and simply snap together in seconds. Furthermore, they are light and fasten quickly to hanging brackets. 2. Safety – Above all, the design has the safety of users in mind. They are independent units yet accommodate all the same protection features that you may associate with a distribution board. In addition, they avoid the overheating that can be associated with large bundles of cables. Overheating of electrical components can lead to shocks and fire hazards. 3. Design – Busbars are versatile and you can quickly move them around to suit the environment or renovations. They are compact and are available in various colours to match the surroundings. 4. Money – As they do not require hard-wiring, Busbar Trunking systems reduce installation and maintenance costs. It is also sometimes easier to estimate your overall costs of a project. You can purchase Busbars individually which allows you to easily calculate your costs depending on how may busbars you need. Protection devices such as fuses, switches or circuit breakers are located along the busbar. This reduces the need for large distribution boards and cables and the installation of such. Call Paul Hunt today to discuss how Busbar Trunking systems can benefit you in your industrial or commercial premises. 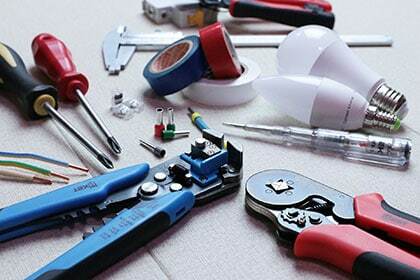 Perhaps you are looking to renovate or upgrade all your electrical systems. Busbar Trunking may be the best solution for saving you time and money now and in the future.